Islamabad: Pakistan’s commanders in the wild Afghan border region can return fire if attacked without waiting for permission, the army chief said, a change in rules of engagement that could stoke tension after Saturday’s NATO strike killed 24 Pakistani troops. The attack sparked fury in Pakistan and further complicated US - led efforts to ease a crisis in relations with Islamabad, still seething at a secret US raid in May which killed al Qaeda leader Osama bin Laden, and stabilize the region before foreign combat troops leave Afghanistan in 2014. “I do not want there to be any doubt in the minds of any commander at any level about the rules of engagement," chief of army staff general Ashfaq Kayani said in a communique on Friday. “In case of any attack, you have complete liberty to respond forcefully using all available resources. You do not need any permission for this." “In the past, we were only guarding ourselves or reacting against militants," said the source, who requested anonymity because he is not authorized to speak to the media. “We have given our posts some more space to respond. If they are under attack, they should not wait for orders from above on whether to return fire or not." The increase in autonomy for local commanders is likely to raise tensions in the unruly and mountainous border region, which is porous and poorly marked. Militants and tribes people alike move back and forth daily. “There are certain inherent risks in the delegation of authority," said defence analyst and retired general Talat Masood. “There could be unintended consequences." Exactly what happened at the Pakistani posts along an unruly and poorly defined border is still unclear. Pakistan said the attack was unprovoked, with officials calling it an act of blatant aggression. US officials, quoted in the Wall Street Journal, said Pakistani officials cleared the air strike unaware they had troops in the area. The US officials, giving their first detailed explanation of the worst friendly-fire incident of the 10-year-old war, said an Afghan-led assault force that included US commandos was hunting Taliban militants when it came under fire from an encampment along the border with Pakistan, the Journal said in an online report. The commandos thought they were being fired on by militants but the attackers turned out to be Pakistani military personnel, they were quoted as saying. A Pakistani military official categorically denied the Journal’s account, saying the aircraft had already engaged when Pakistan was contacted. “Wrong information about the area of operation was provided to Pakistani officials a few minutes before the strike," said the official, who was not authorized to speak to the media. “Without getting clearance from the Pakistan side, the post had already been engaged by US helicopters and fighter jets. 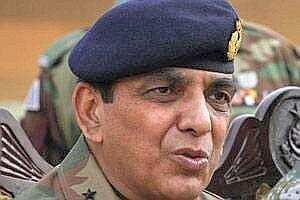 Pakistan did not have any prior information about any operation in the area." In a statement on its public relations website, Pakistan’s military said that its response to the NATO strike was hampered by an inability to scramble its aircraft in time. “The response could have been more effective if PAF (Pakistan Air Force) had also joined in. However, it was no fault of PAF," the statement said. “The timely decision could not be taken due to breakdown of communication with the affected posts and, therefore, lack of clarity of situation, at various levels, including the Corps Headquarters and GHQ (General Headquarters)." In Karachi, calls for defiance laced Friday prayer sermons. “This (the NATO attack) is sheer cruelty and the rulers and the public must join hands to defend our country," an imam said at the Jamia Masjid mosque in an upscale neighbourhood. “It’s time we decide that we can spend our lives as poor people but not as slaves of Western powers. “We should have complete faith in Allah, and if you follow Islam in the true spirit, we will have no problems surviving even if the US and Western powers don’t like us." In the city of Multan in southern Punjab, at a demonstration organized by an Islamist group, Abdul Ghaffar, 45, said: “We’re going to teach America the kind of lesson that is going to make them forget about Vietnam." Both the United States and NATO have promised to investigate the incident, expressing regret on the deaths of Pakistani soldiers but the White House said it was premature to consider apologizing when an investigation was still in its early stages. Pakistan has shown its anger over the attack by blocking supply routes for NATO forces in Afghanistan, and pulling out of an international conference in Germany next week on Afghanistan, depriving the talks of a central player in peace efforts. Western leaders have urged Islamabad to rethink its decision to boycott the conference, but Pakistani Foreign Minister Hina Rabbani Khar said a reversal was unlikely. “I don’t think there is a very strong case to reconsider this decision at all," she told reporters on Friday. Pakistan has a long history of ties to militant groups in Afghanistan so it is considered to be uniquely positioned to help bring about a peace settlement, a top foreign policy and security goal for the Obama administration.